A fun, free workshop with wonky fruit & veg for kids with art & food collective nyamnyam this Sunday 18/10. 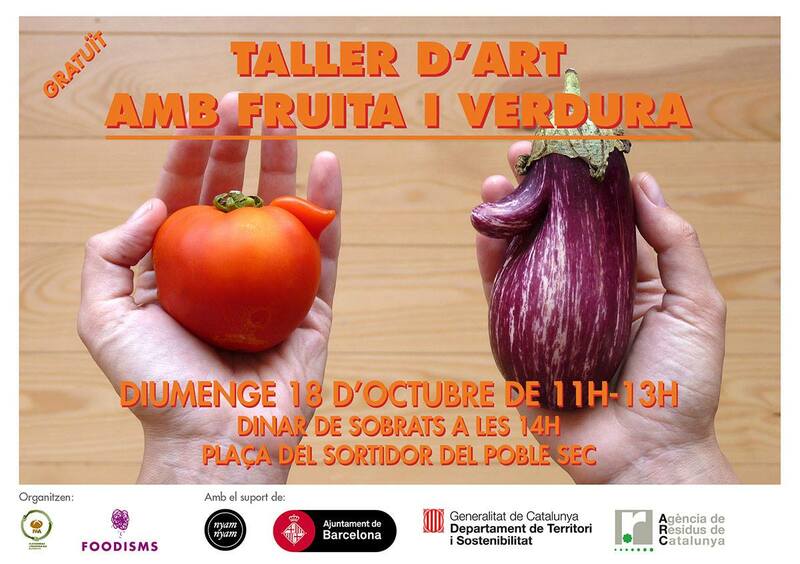 Organising alongside PAA- Plataforma Aprofitem els Aliments during the Poble Sec’s neighbourhood ‘Dinar de Sobrats’ (Leftovers Lunch) to raise awareness around the issue of food waste and the role ‘aesthetics’ play in this phenomenon. nyamnyam will be co-facilitating the creative workshop with us from 11am – 1pm and then the free leftovers lunch will be served. Check out our flyer for more deets. All are welcome to come along & join!